It’s not a glamorous issue for local politicians to talk about, but sidewalk repair is a major expense for cities and towns across the country. In Los Angeles, for example, the city has spent billions to fix sidewalks and settle lawsuits about ADA accessibility — a major issue brought on by the city’s inability to fix sidewalks in a timely manner. One reason that cities and towns have trouble keeping up with concrete sidewalk repair is that each individual job is a small one. Though it seems counter-intuitive, small concrete jobs are far less efficient than large ones, and this inefficiency results in delays and drives up the cost. 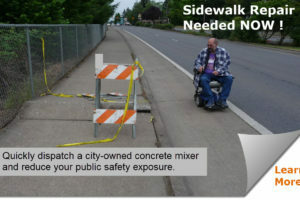 The sidewalk repair solution you’ve been looking for. Save on Concrete Delivery Fees. The vast majority of concrete contractors will charge more to deliver small batches of concrete to your job site. You’re getting less and paying more, which can be a municipal budget-buster. 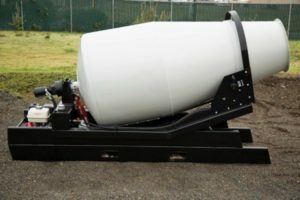 A portable concrete mixer holds a reasonable 1-3/4 cubic yard of cement for small repairs and cuts down on extra delivery fees. Avoid Costly Delays. When you order less than a full truckload of concrete, your order goes straight to the bottom of the priority list for delivery at most large-batch concrete outfits. When you can’t predict delivery times and dates, you waste time and money on the job site as your crew waits around for the supplies they need. 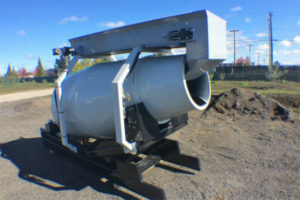 Mid-size mixers get concrete to your site quickly. Minimize Site Security Risks. If you’re waiting on concrete delivery, you need to spend extra money to secure an open sidewalk for longer time periods. It’s just not safe to leave it opened up, and the cost of delay can add up to extra security, signage and lost revenue for local businesses. Protect City Streets. When you send a giant, 25-ton concrete truck down neighborhood streets, it has an impact on the condition of the tarmac — that’s like robbing Peter to pay Paul, and soon you’ll have street repairs to contend with as a result of sidewalk repairs. 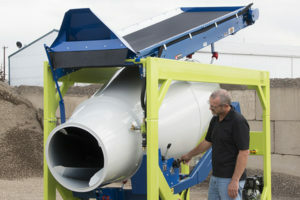 A mid-sized concrete trailer from Cart-Away takes the pressure off of city streets. Keep Residents Happy. When you invest in a portable concrete mixer, you can respond to residents’ complaints about broken sidewalks quickly and efficiently. You’ll be more agile in helping citizens, scheduling inspections and dealing with all the ins and outs of municipal sidewalk repair in a timely fashion. Ready to find the right sidewalk repair solution for your city or town? 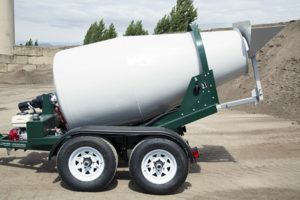 Contact Cart-Away Concrete Systems to find the portable concrete mixer that’s right for your municipality.